J.D Power and Associates is a firm dealing with global marketing information surveys and studies. Among its numerous functions, some of the most important include research related to the market, forecasting business and market trends, training modules, customer surveys, customer satisfaction, all related to core business sectors, most notably the automobile sector. J.D Power and Associates are involved in rating, quality measurements, and satisfaction surveys. All these surveys are carried out scientifically based on the responses gathered from millions of customers, throughout the year. All these statistical studies are carried out with extreme accuracy and they have become a reliable source from which to gather information about a particular product. In its Vehicle Dependability Survey conducted in 2010 by J. 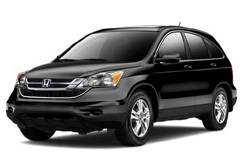 D Power and Associates, three 2007 models of the automobile company Honda, the Honda CR-V, the Honda Fit, and the Honda Ridgeline have been denoted as the “most dependable” vehicles in their respective segments. The Honda Ridgeline is a sports utility truck, the Honda CR-V is a Compact Crossover SUV, and the Honda Fit is a subcompact or a compact car. The overall dependability of a car is measured by measuring the level of 198 different problems faced by the car owners for every 100 vehicles (PP100). Here obviously a lower score would mean better quality and lesser problems. The average value for the industry is 155 PP100. In the survey, the CR-V compact got a score of 113 PP100. The Fit received a score of 137 PP100 and the Ridgeline received a score of 109 PP100.